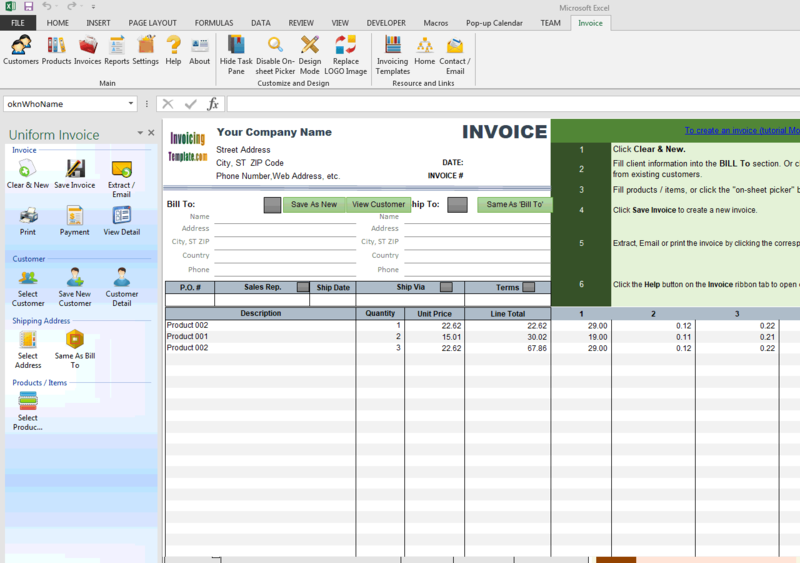 c4014 now includes the customized invoice template for the latest version of Invoice Manager for Excel. 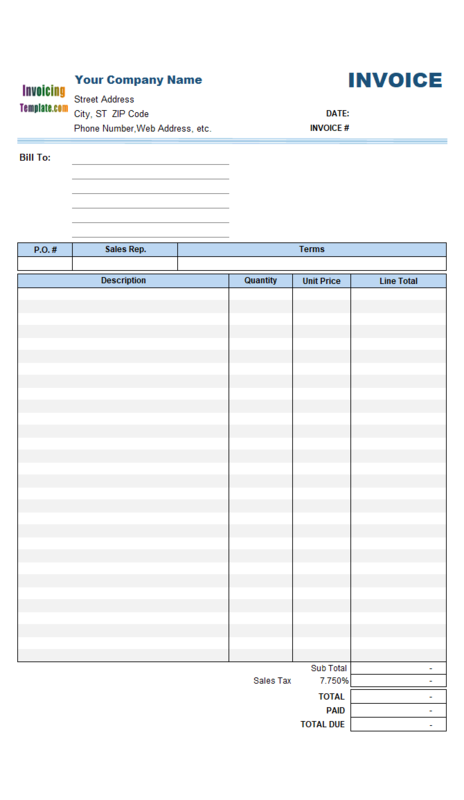 This is what you will see when you open five-price-levels-sales-percentage.xlsx. 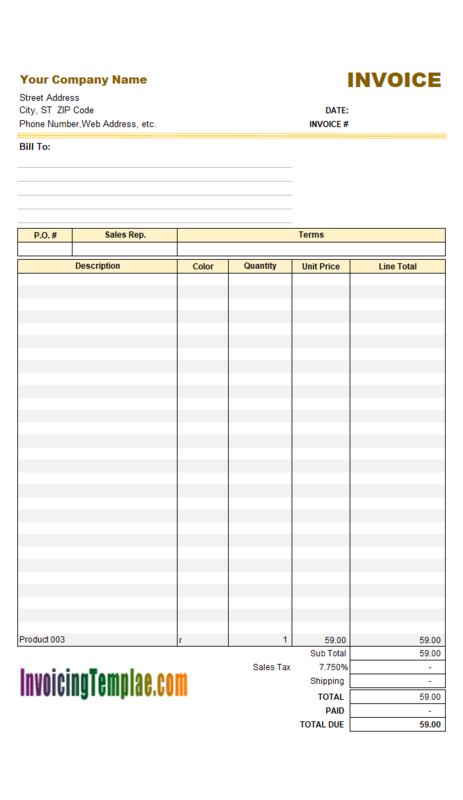 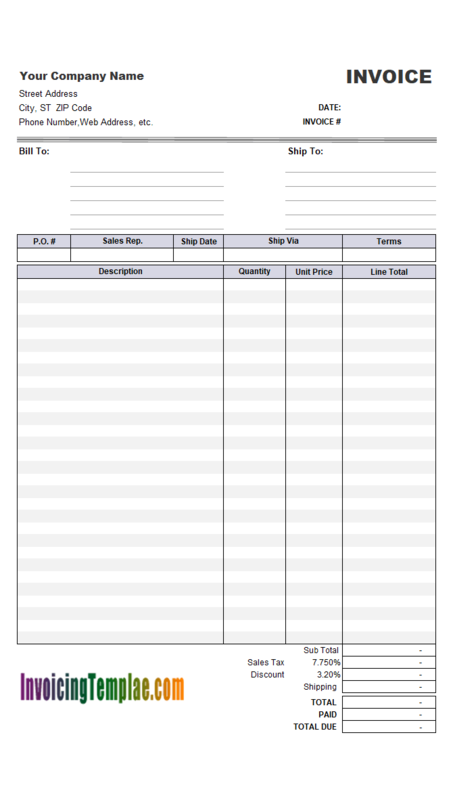 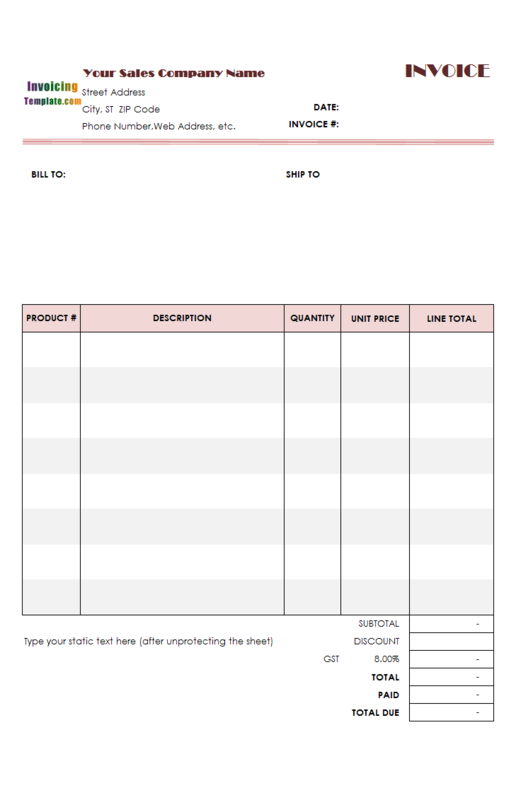 Like all the other invoice templates in this "5 price levels" serial, the invoice body part includes only one taxable checkbox. 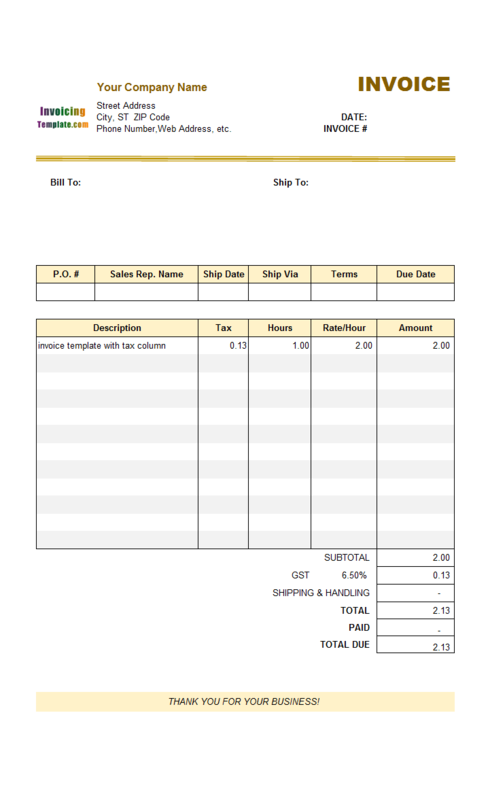 If you check this box, all the items on the invoice form will be taxable, and if uncheck this box, the tax amount of this invoice template will be zero. 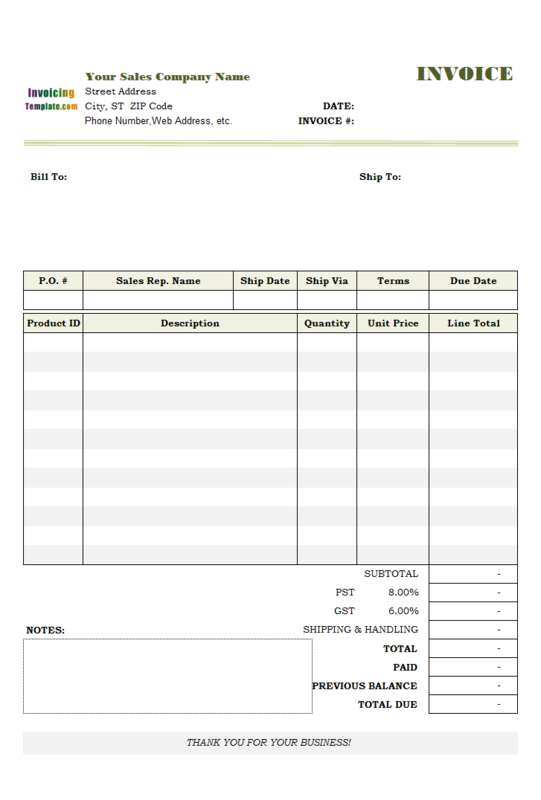 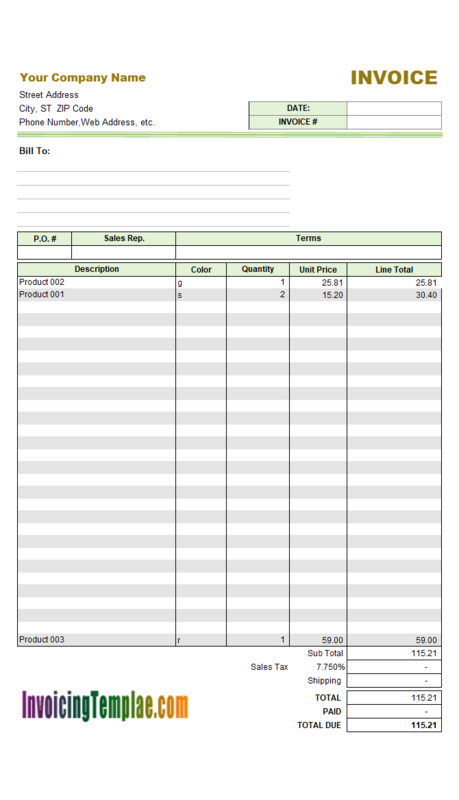 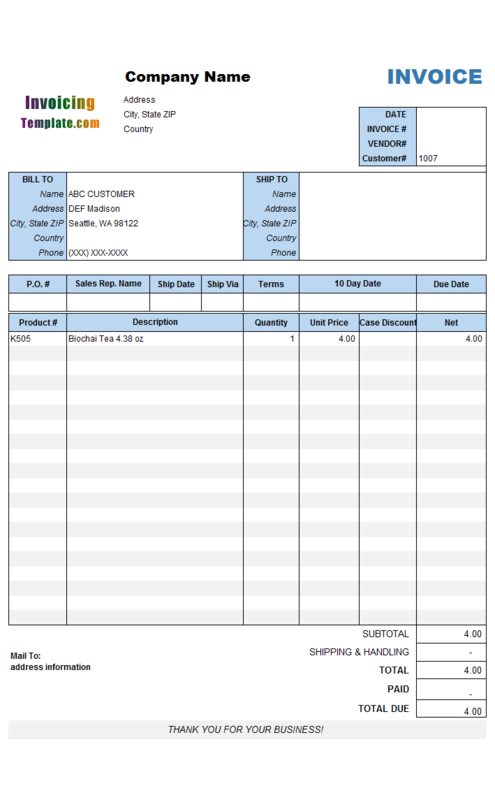 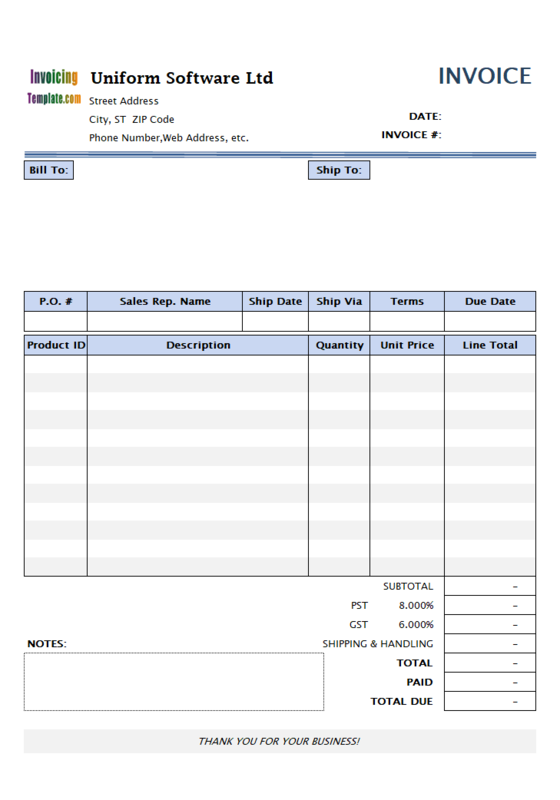 If you tested the default sales invoice template shipped with Invoice Manager for Excel, where each item on the invoice body has its own taxable checkbox so that you can control whether each item is taxable or not on this invoice, the calculation of taxes in this customized invoice template has been greatly simplified, as the template even ignores the "taxable" option set on each Product Edit window. 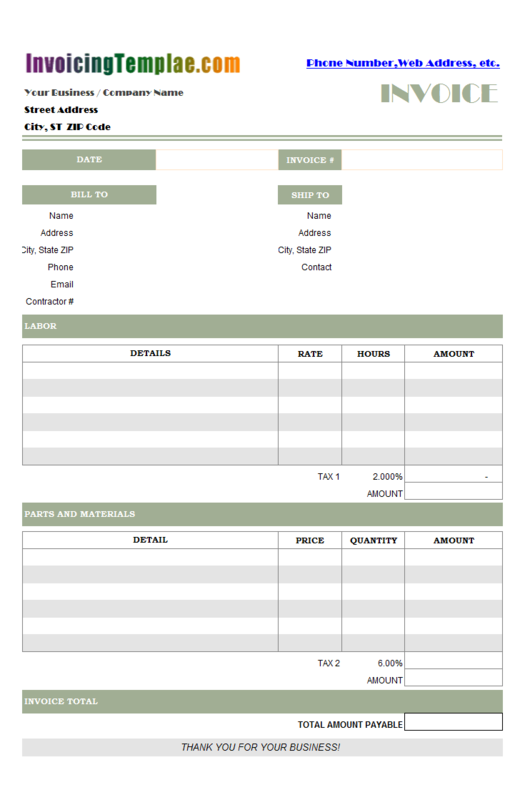 This is a sample on how you can bypass the default tax calculation methods implemented by the default template and create your very own tax rules. 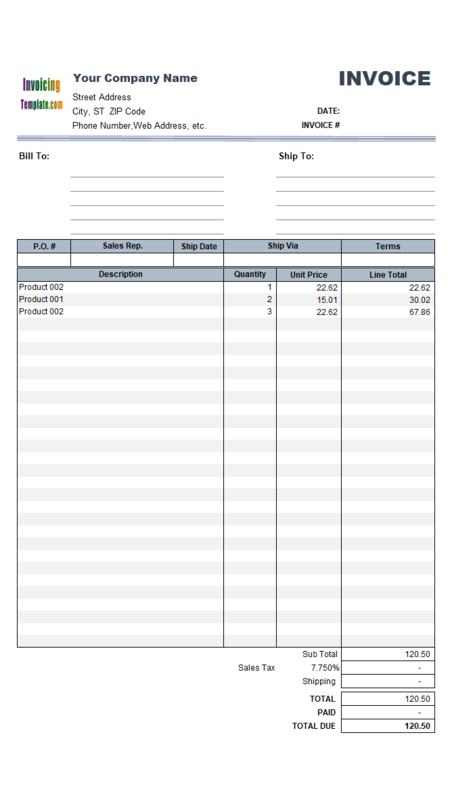 Upgraded to ".xlsx" format from ".xls" format. 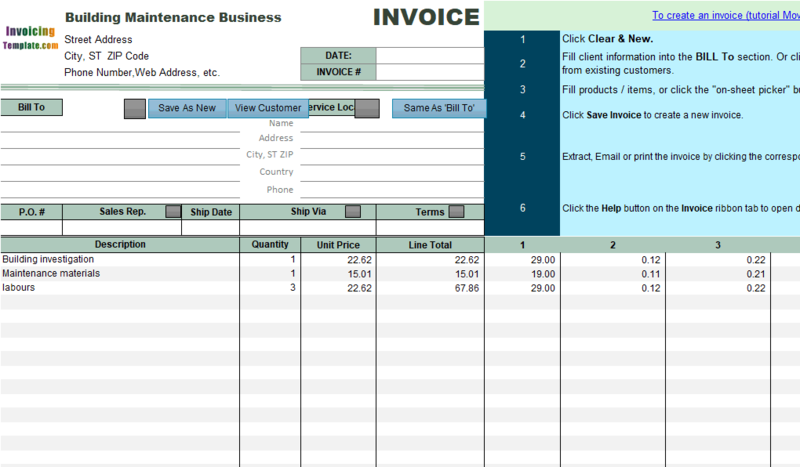 Increased the line heights of top rows from "Your business name" to "Phone#" in the "Bill To" section. 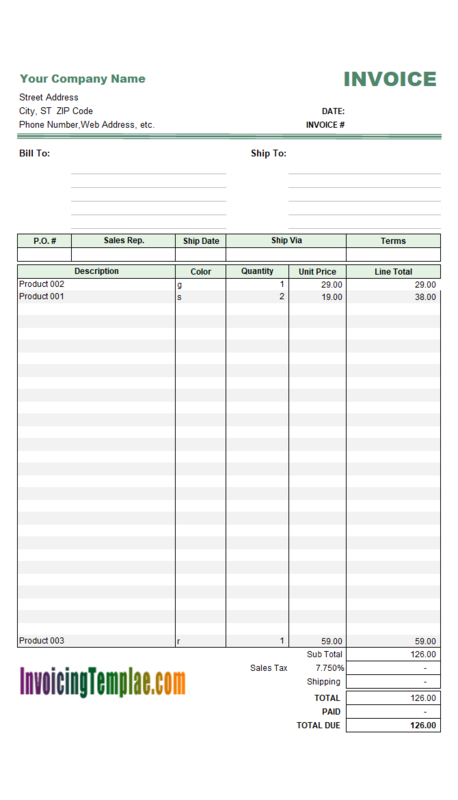 Applied steel blue color scheme. 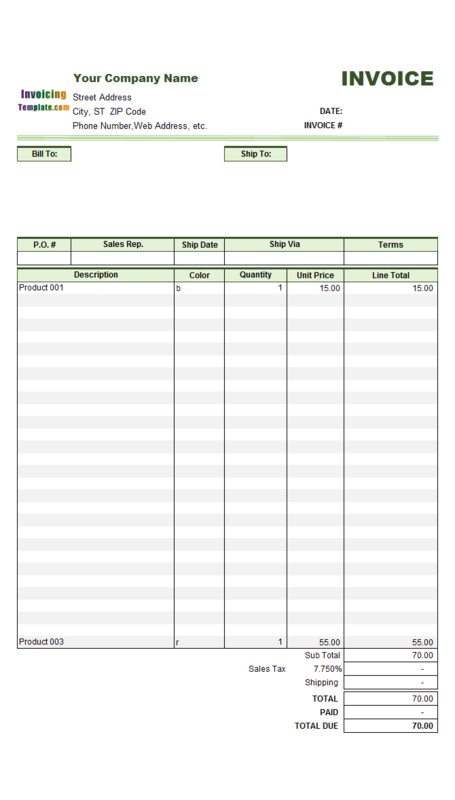 Removed unnecessary text labels such as "template# c4014" from the form. 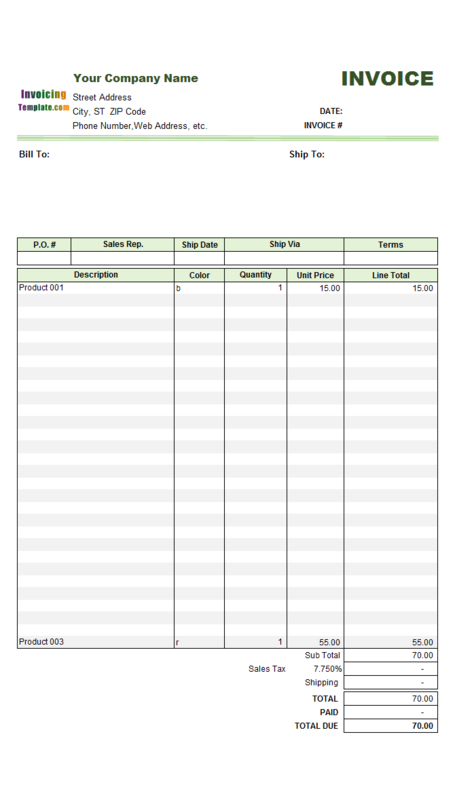 The template# is now identified by the database file name. 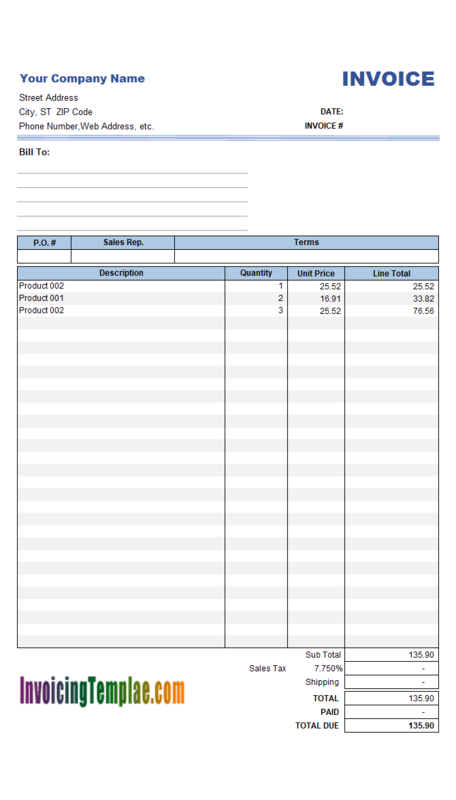 Replaced all the report worksheets with those shipped with the latest standard invoice templates.